On the campaign trail, Trump once described his rapidly growing Twitter following not only as a means to get the truth out, but also as a way to get even with his enemies. "If it's true that he wouldn't be president if it weren't for Twitter, then, I'm sorry," Evan Williams. If anyone knows how important Twitter is to Donald Trump, it's the president. "Without the tweets, I wouldn't be here," he told the Financial Times last month. To which Twitter's co-founder says: Sorry about that, world. 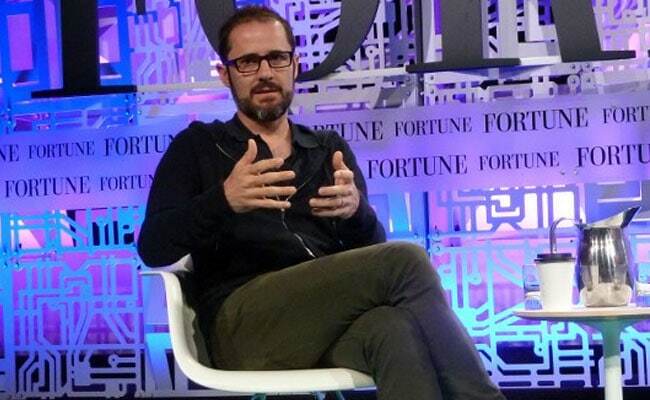 Evan Williams, who still sits on the company's board of directors, recently told The New York Times that he wants to repair the damage he thinks Twitter and the broader Internet have wrought on society in the form of trolls, cyberbullies, live-streamed violence, fake news and - yes - Trump. "I thought once everybody could speak freely and exchange information and ideas, the world is automatically going to be a better place," Williams told the Times. "I was wrong about that." "If it's true that he wouldn't be president if it weren't for Twitter, then yeah, I'm sorry," he said. Is it true? Hard to say. Since Trump became president, his incessant, aggressive and sometimes inaccurate tweets have seemed as much a liability as a political boon. His aides held a social media "intervention" a few weeks ago, according to The Wall Street Journal, trying to convince Trump that unfounded accusations like "Obama had my 'wires tapped' " could endanger him politically and legally. "Someone said I'm the Ernest Hemingway of 140 characters," he told a crowd in South Carolina, air-typing into a pretend phone. "If someone says something badly about you: Bing, bing, bing! I say something really bad."